This year’s Farm Science Review will give farmers an edge — a cutting edge, to be exact. 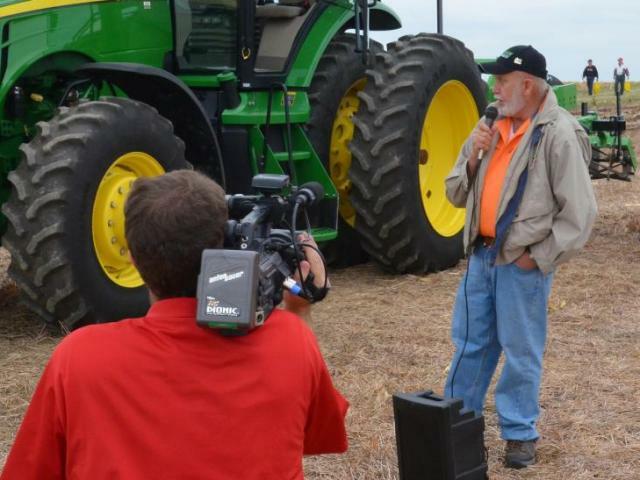 Sponsored by CFAES, including OARDC, Farm Science Review features the latest agricultural practices, research and technology, said Chuck Gamble, manager of the event, set for Sept. 22-24 at the college’s Molly Caren Agricultural Center in London, Ohio. “As we encounter challenging economic times, it becomes even more important for farmers and producers to find the best information for their farm operations to remain solvent and to thrive,” he said. “We farmers have to operate as smart as we can in a challenging economy. Now in its 53rd year, Farm Science Review is nationally known as Ohio’s premier agricultural event, Gamble said. Total annual attendance usually tops 130,000 people. Featured this year will be workshops, displays and other sessions by experts from OARDC and OSU Extension, and Purdue University too, and more than 4,000 product lines from 620 commercial exhibitors. To contact the source: Chuck Gamble at gamble.19@osu.edu.